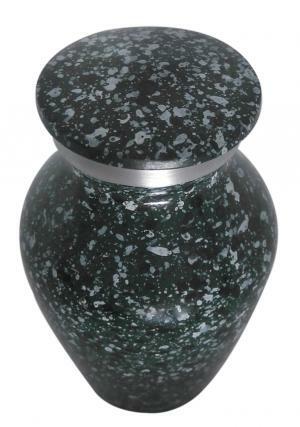 Marble Green Aluminium Keepsake urn for token ashes is mini keepsake aluminium made ashes urn to preserve ashes of the cremated as memories. 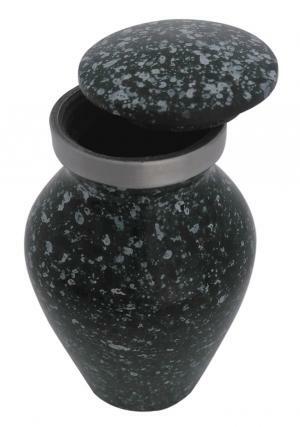 The mini urn for ashes has token amount of space and outer layer is decorated smoothly in green marble finish. 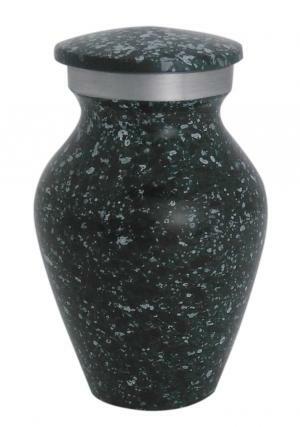 The small keepsake funeral urn has a necked aluminium band with screw threading lid for secure closure of the ashes in the urn and lid is decorated in marble green. The small token ashes cremation urn is measured to be 3 inches in height, width of 2 inches and weighs around 0.2 Kg.